While many financial institutions attempt to market life stage banking products/services, and implement effective migration strategies, we haven’t seen any do so as clearly and effectively – or in such a “productified” way – as Bank of America. “Family is everything” is not a message I’m accustomed to receiving from a big bank, so I thought the email was worth a read. 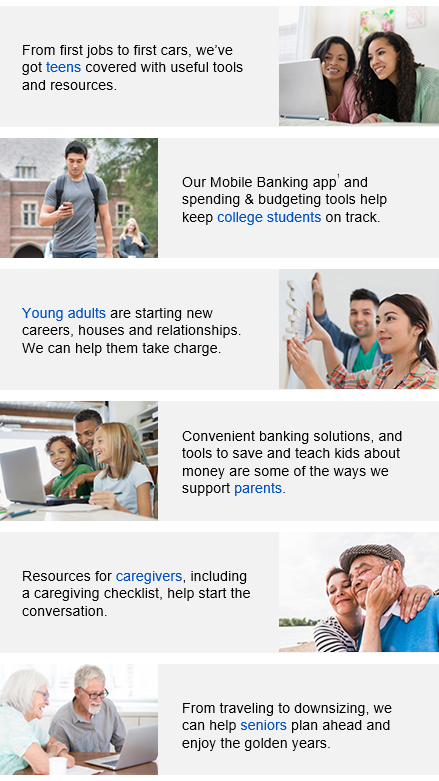 Immediately when I opened the email, I saw the life-stage theme play out in the headline and photo depicting three generations. It clearly played off both new beginnings (with the young son) and changes (with the father and elderly grandfather). 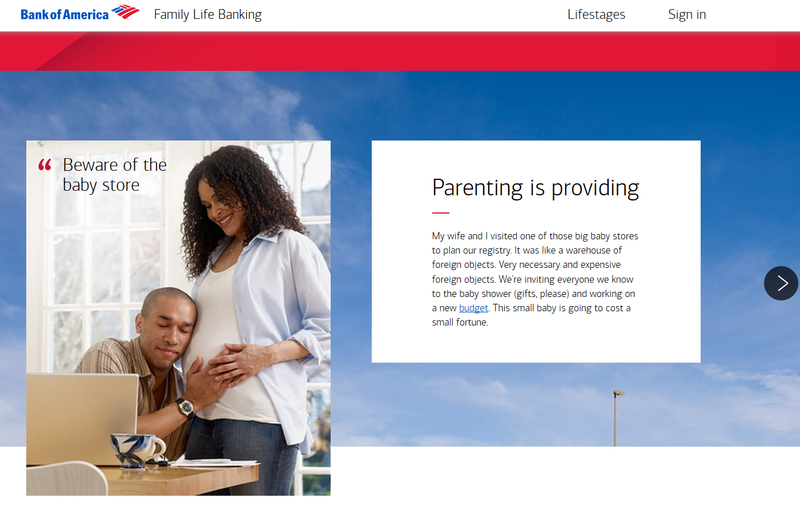 But what stood out to me the most was the name – “Family Life Banking program” – which clearly and quickly implied that this program included Bank of America products that could help me, and my family of course, at any life stage. 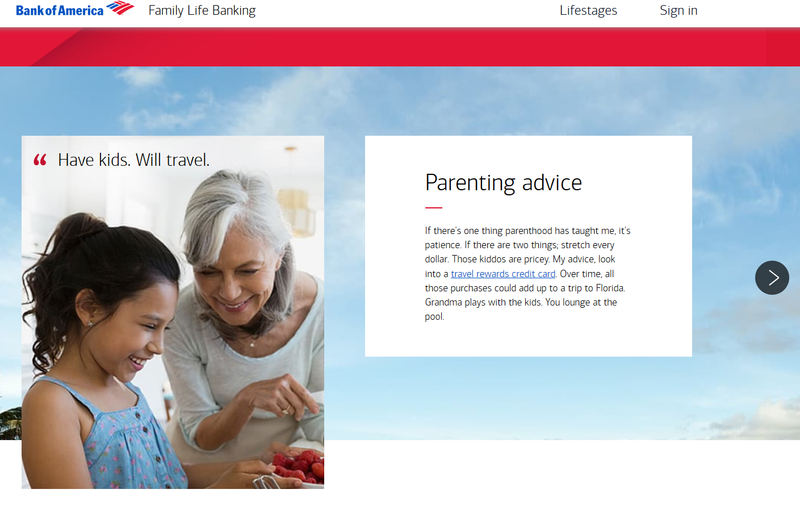 This intrigued me because, to date, I hadn’t seen a bank successfully bundle or package their existing mass market products in a way that appealed to various ages and life stages as part of one cohesive program. Scrolling further down the email, audience segments at various (and progressive) life stages are introduced and paired with likely needs and pain points. the desire for parents to earn enough points with the travel rewards credit card to take the whole family to Florida to see Grandma. 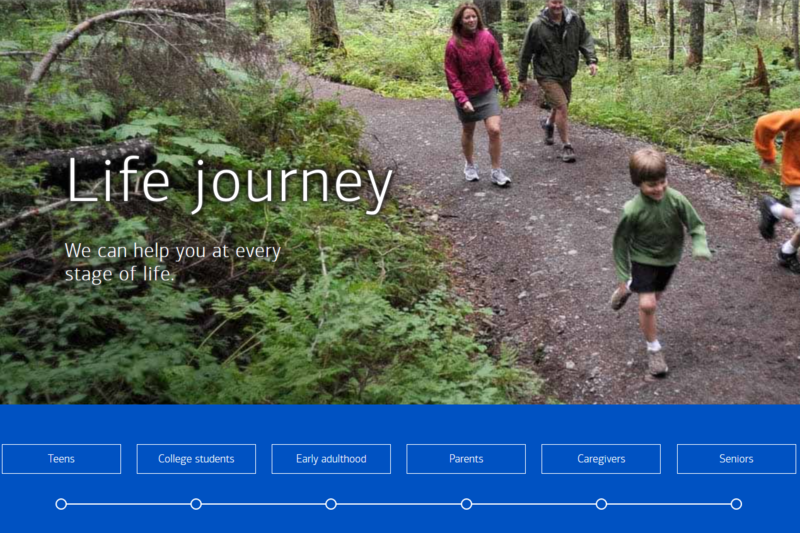 Once at the microsite, you can toggle between life stages within the “journey” timeline and/or view comprehensive lists of products and services relevant to each life stage and, potentially, to other members of the family. 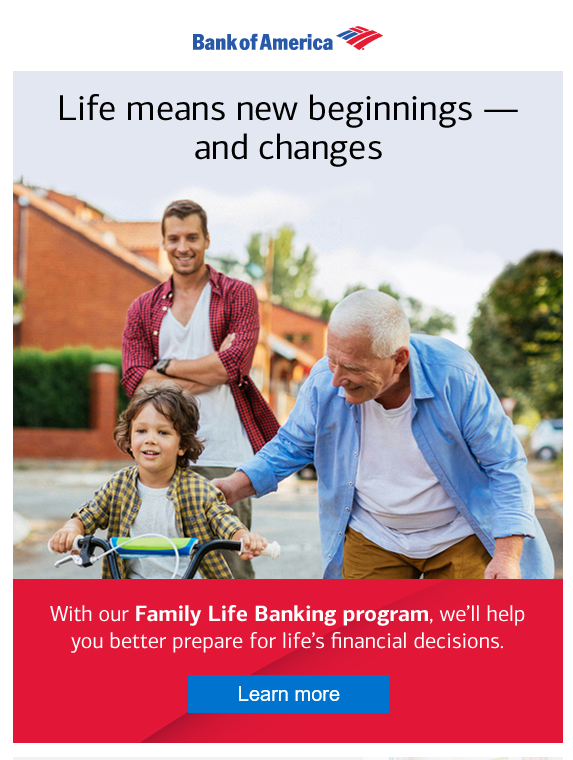 While effective in its marketing, after some further exploration of the Family Life Banking program, it became evident that the program is part of the bank’s broader effort to deepen its customer relationships. 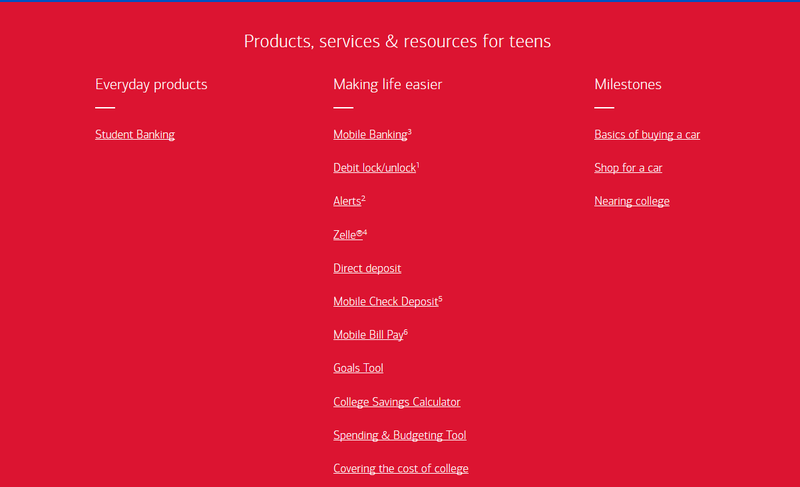 Back in October, 2018, Bank of America launched an employee training curriculum called “Lifestage Navigation” – a training program designed to focus on customers’ key life stages. 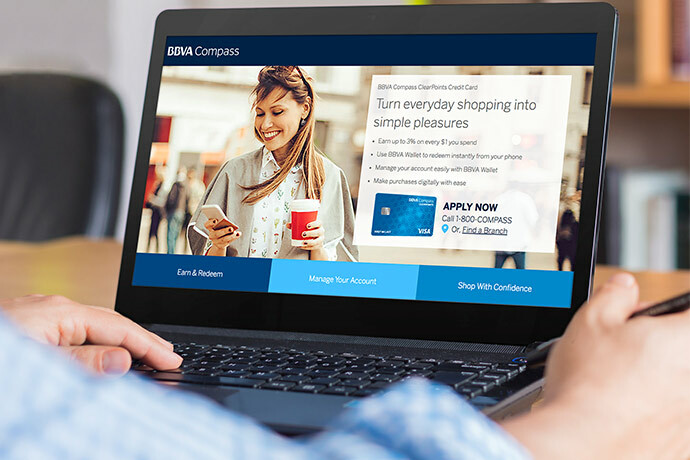 Developed in partnership with Age Wave, a thought leader on population demographics and aging, the training program is intended to change how the bank’s employees interact with customers. 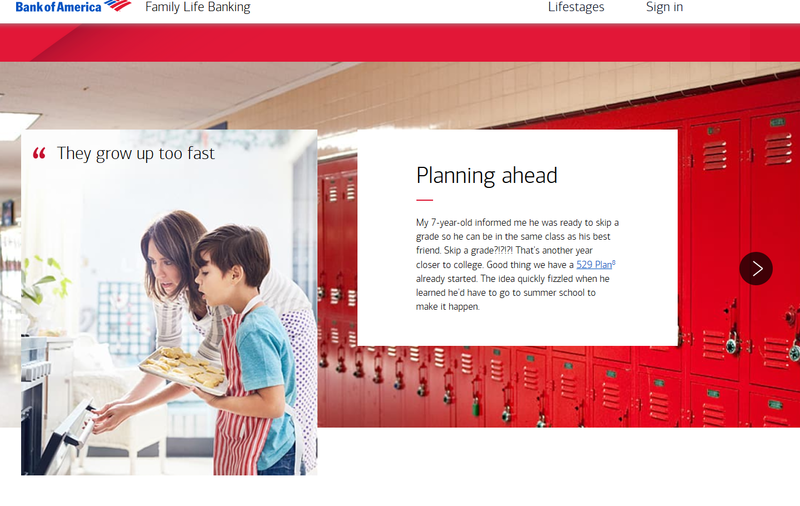 As a Bank of America customer, I look forward to seeing how this customer-focused strategy and mission manifests itself in product marketing and customer communications – and how the bank will go about targeting me with different products as I migrate from one life stage to another. The financial services industry has seen a long line of “disruptors” emerge in the last decade. Often created by and for the Millennial market, these app-based payment and banking brands seek to simplify and streamline “traditional” banking products. These companies are not only providing alternatives for a generation that doesn't really trust big banks but also figuring out how to evolve with the changing needs of their loyal users. 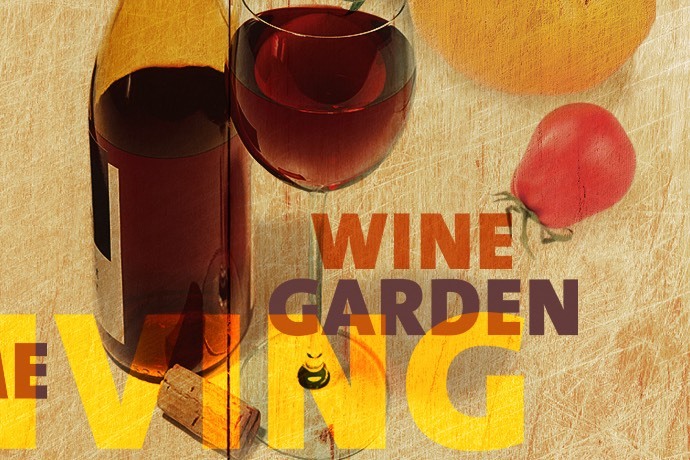 Targeting the 65+ audience requires an integrated, diverse media approach. Use results from Media Logic’s 2018 Media Habits Study to optimize channel selection and reach current and potential customers effectively. Earning Millennial hotel loyalty can be a challenge. Here's why it's worth it... and how your hotel co-brand can engage this critical audience.